Vetting learning and training programs can be a time-consuming, difficult task for managers and group leaders. However, testing educational and training services for employees can turn into a fun and engaging project for all if handled with some forethought. It’s important to remember that learning new skills can be intimidating for some workers. Jumping in too quickly with too many ideas can actually sabotage your original intent of empowering your workforce. Many people have been following the same protocol for a long time in fulfilling their job duties. Employees are far more likely to feel engaged if they know their opinions count. Before training begins, be clear that their feedback is valuable. Doing so will cause the group to pay attention and engage because they know you are counting on them to deliver an analysis. The process of vetting various programs can be overwhelming for a manager without a background in educational training. If you’re experimenting with different training methods, you may want to bring in a professional corporate trainer to manage the process. Corporate trainers can motivate groups of people to become engaged, offer explanations and provide guidance throughout the process of testing out training methods. Oftentimes you don't need your entire staff to participate in experimental training. A small sampling of your workforce is probably enough to help you get a good idea if a method or resource is a good fit. You can present the opportunity to participate in a training pilot as an exclusive privilege. Conducting a raffle or contest to fill a limited number of seats will make participation seem like a reward instead of an arduous task. Make a training test period feel like a break from work by creating the right setting for your employees. Make a point to bring in bagels, coffee and other treats that can be enjoyed before the training session begins. Depending how long the session will last, consider having lunch catered for the group. Bringing in refreshments is a great way to make the process of vetting a training program feel more like an exciting conference. There’s nothing employees hate more than a project that’s shrouded in mystery. Transparency is key. 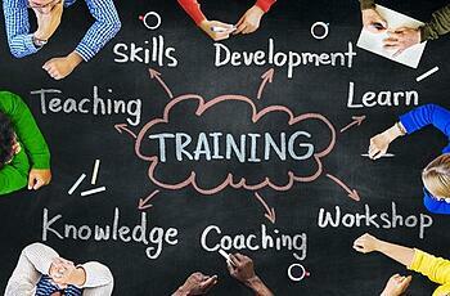 If you plan to implement training in your organization, be clear about what you’re doing. Let employees know that you simply want to test learning tools that will enrich your entire workforce. Make a point to be clear about timelines and goals.